Brazier Motti is very proud to announce that Director and Survey Discipline Leader, Peter Murphy, has been appointed by the Government as the Chair of the Queensland Surveyors Board. The role of the Board is to administer the Surveyors Act, in order to protect the public and ensure public confidence in the profession of surveying. Broadly, this includes: setting the standards of competency for registration; registering competent persons; conducting investigations of complaints; and conducting disciplinary proceedings (where necessary). “Graham Peter Ward has made a lasting difference to the surveying and spatial sciences profession by his leadership and contribution and he continues to serve his profession, his Institute and his community with pride, dedication and enthusiasm. He is a Project Manager at Brazier Motti Pty Ltd and has over 38 years’ experience in the surveying profession. 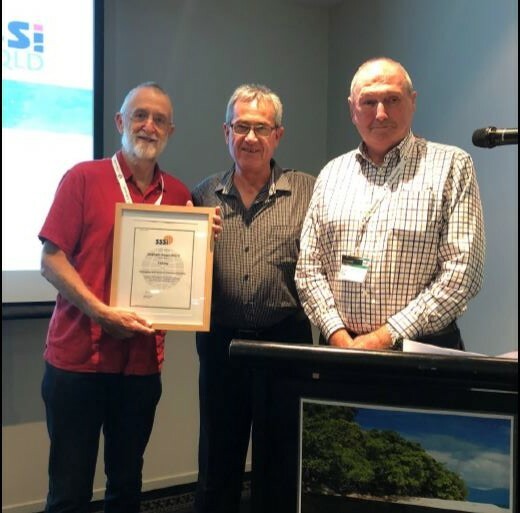 Graham has demonstrated a long and consistent commitment to the profession of surveying, and continually upholds the Institute as the pre-eminent professional organisation representing surveyors in Australia. He has demonstrated leadership and excellence in his chosen profession, and has the respect of the community and his peers. We are truly local and know our community and this region. We have over 60 years’ experience in delivering survey and planning services on projects of all levels of complexity across Northern Australia. We provide leadership in our industry and are active corporate citizens, investing in our people and in our home community. We have a skilled and resourced staff of close to 100 people across the North who are able to readily respond to your needs. We hold Certifications and Pre-qualifications to be able to conduct a range of Federal, State and Local Government work, avoiding protracted start-up delays or the need for external mobilisation. We deliver professional results in the format you need to deliver your project on time and in budget.